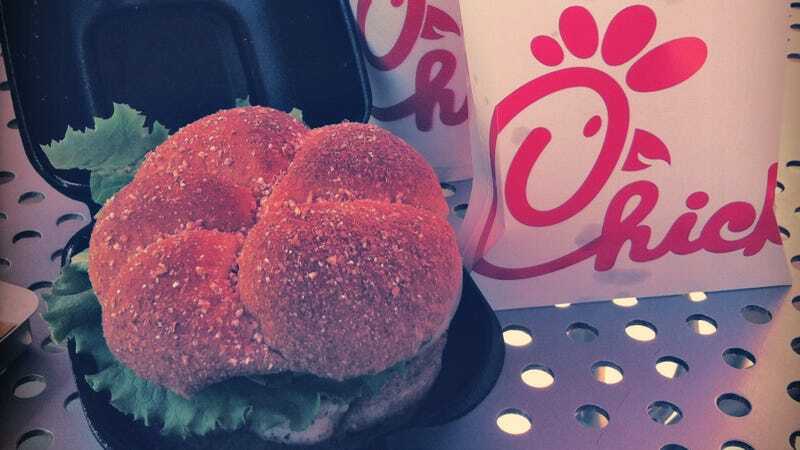 For the third year in a row, Chick-fil-A is at the top of a survey by investment banking company Piper Jaffray that tracks teenage behaviors and preferred brands. This year, the company surveyed 8,000 teens (average age: 16) in 47 states, 54% male, 46% female. Last year, the teens favored food over fashion, but this year, food stayed at the top for boys but slid to number two for girls, in favor of fashion. When it came to restaurant preferences, Chick-fil-A still reigned supreme for the third year in a row. Chick-fil-A was favored over Starbucks, Chipotle, Dunkin’, and McDonald’s, suggesting that the Rory Gilmore-like teens are leaning on caffeine to get them through midterms and finals. It’s a bit surprising that progressive-minded teens (90% pointed to a political or social cause they were passionate about, with climate change and border control leading the list), who presumably are aware of CFA’s stance on social issues, continue to support it so strongly. But, in the list of top celebrities, Ariana Grande was at the top, but Donald Trump was number two, so who knows what the kids are thinking. Other interesting, non-food related results: Teens say that Snapchat is their favorite social-media platform, but Instagram is the most used. Facebook is, unsurprisingly, flatlining (fortunately for Facebook, it owns Instagram). Ulta overtook Sephora for the first time as a makeup destination, and the amount of cash that males spent on video games increased 14% (we blame Fortnite). Netflix was the top choice for media consumption at 37%, followed by YouTube at 32%. And Amazon was the top shopping website by 50%; also-rans like Nike and Urban Outfitters stayed in the single digits. So marketers who want to reach the young people would do well to focus on Snapchat, Instagram, and Amazon, and maybe pay a visit to Chick-fil-A.